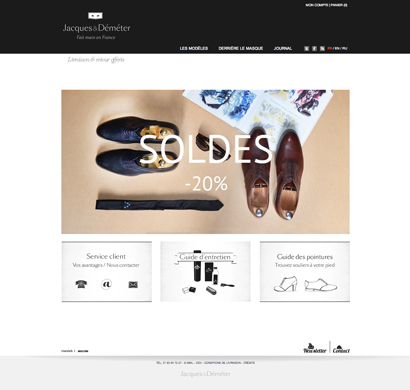 To offer shoes of excellence, Jacques & Demeter chose to work with the best French craftsmen. All models are conceived and designed in Paris. They are made ? ?entirely in France and assembled by hand by craftsmen known for their reliability and the quality of their work.